How everyone wishes to travel but just can’t because of no leaves or limited leaves. I always thought this was a myth that there are no leaves in the corporate world. Fast forward when I join the same world all those myths became true. But planning a trip once a month I knew wasn’t going to be that tough. I started shortlisting the places nearby Bangalore which can be easily done in 2 days(come on you can manage 2 days in a month at least) and are also budget friendly. The first thing that comes in my mind when someone says a vacation is a beach. When anyone hears a beach there are only two choices most of the times, Goa or Pondicherry. But very few people know about a town called Gokarna which is located on the western coast of India. With its pristine, less crowded beaches and Gokarna beach trek it is a great vacation spot. This Gokarna travel guide will tell you each and everything you need to know about the place, how to save that extra buck and places to visit in Gokarna in 2 days. 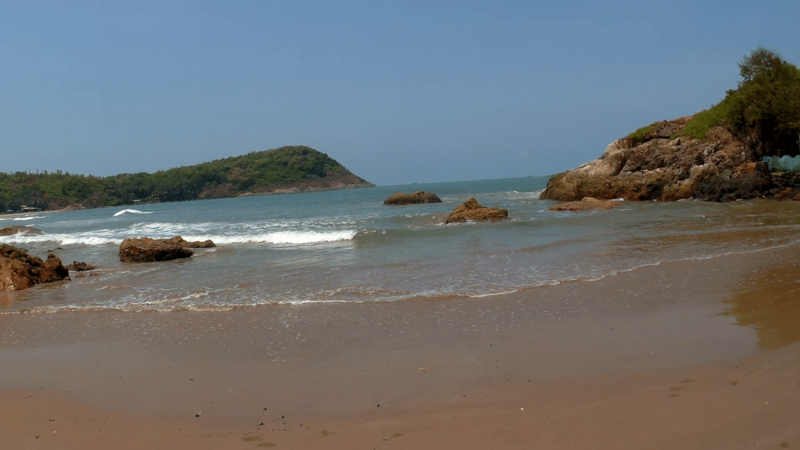 What is the best time to visit Gokarna? 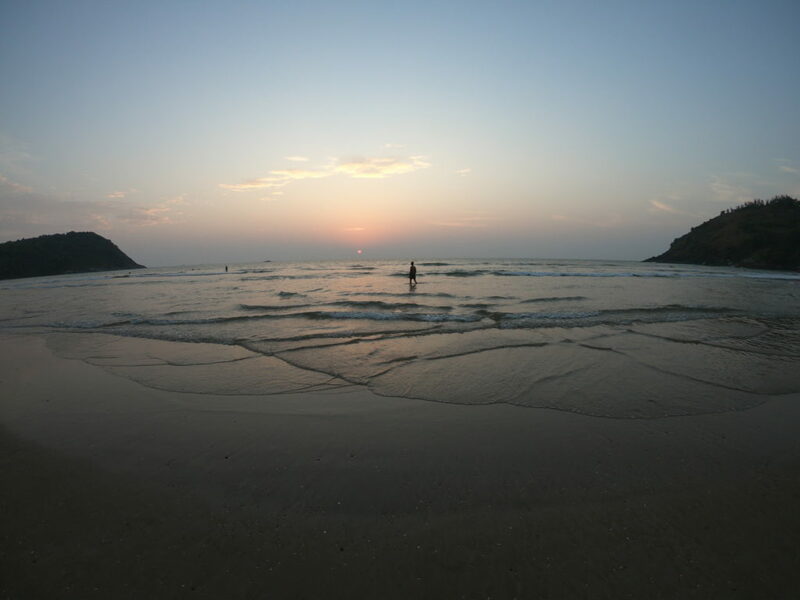 The best time to visit Gokarna can be in the months after the Monsoon which is from October to March. But since people have been knowing about Gokarna in the last few years you might be able to see a decent crowd. The months from April to June are quite hot but attracts a lot lesser tourists and could be one of the ways to save some money during the offseason. Starting my trip from Bangalore. 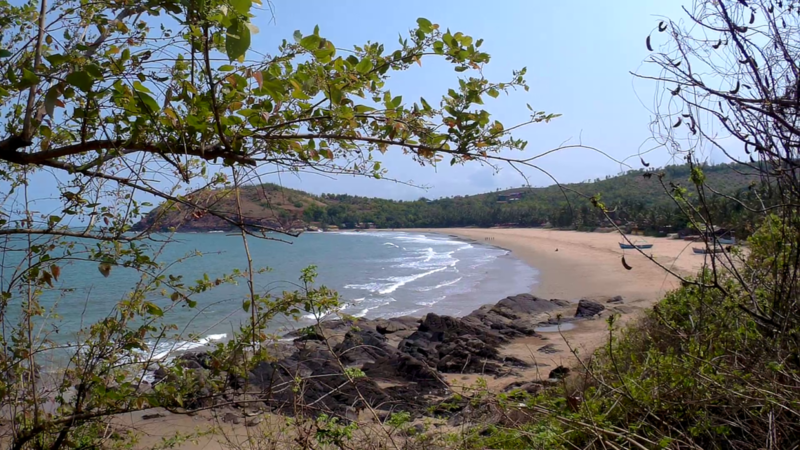 Gokarna is easily accessible by buses and train. The latter is not an option because it takes a lot of time. But if you plan to go to Gokarna for 3 days train is the most suitable option to travel at least from one side. (Stay tuned for camping in Gokarna for 3 days). The bus price usually ranges from Rs 600 to 700(sleeper) if booked a few days in advance. There are KSRTC buses which charge around Rs 500 but are seater. The buses are usually late in the night and you reach Gokarna early morning. As soon as you trek down and enter the Kudle beach the view will surely take your breath away. Staying in Gokarna is never an issue until it is holidays for everyone. You could try a few of the beach shacks on Kudle or few hostels on the way to the Kudle beach.They range from Rs 400 – Rs 600 per person. I stayed at Sea rock cafe which costed me Rs700 for a night which can accommodate 2 people easily.The room is basically cement block covered with wood on the top and you have a private washroom to yourself. The place looked decent and safe for women. 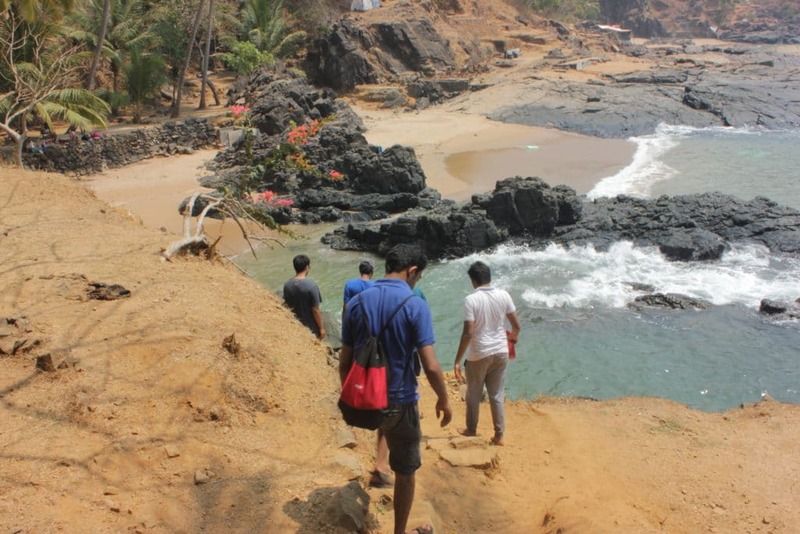 Gokarna beach trek connects all the main beaches of Gokarna and the town. Once we were settled in the shack we had the breakfast there itself which costed us Rs 100. The other stay option i’ll recommend you is zostel and hostel lavie which is on the way to Kudle beach. Zostel is safe for women but haven’t heard much about hostel lavie. But since it falls in the budget so recommending it here. Once we were done with the lunch we returned to the shack and relaxed. In the evening we took a dip in the Kudle beach and just sat there to experience one of the best sunsets ever. 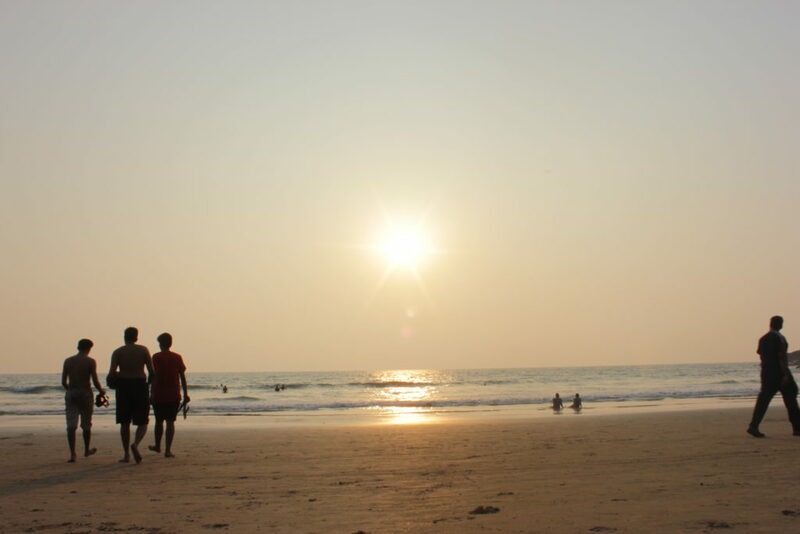 According to me experiencing the sunset is one of the top things to do in Gokarna. In the night while going for dinner we found a lot of crabs on the beach so make sure to not stamp them. 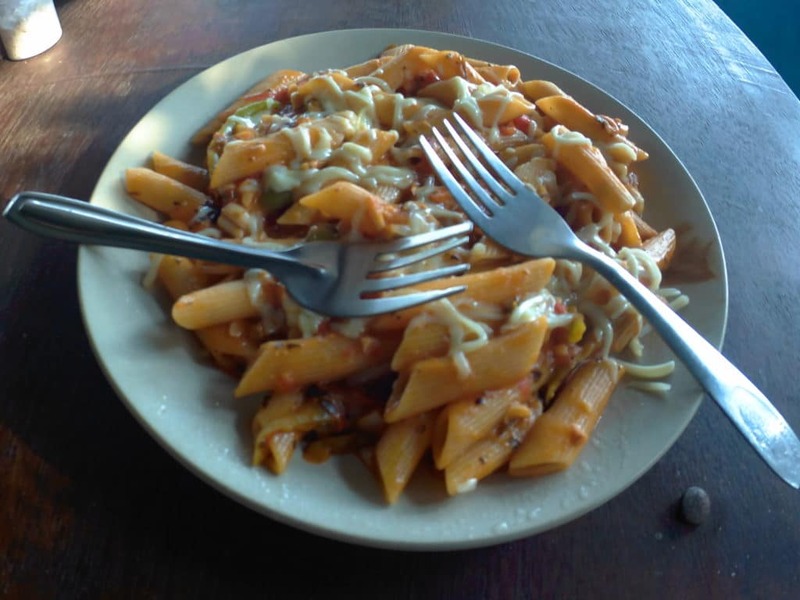 We had dinner again at the la pizzeria cafe which costed us around Rs 250 – 300 max. We woke up early to check out the sunrise, though not being a morning person. It resembled just like a red ball. Never knew sunrise was also a great experience but sunsets still win hands down. After having breakfast at the shack which costed us Rs 100 we left for the Gokarna beach trek. The total distance of the trek is approx 6km. 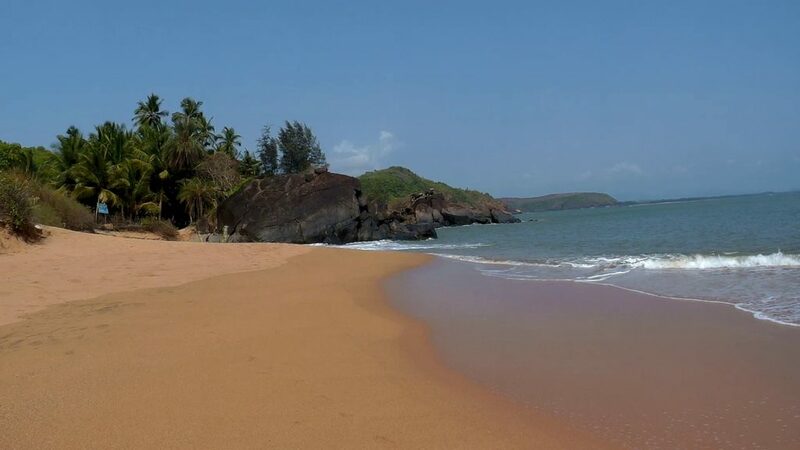 The beaches connected to this trek are Gokarna beach, kudle beach, OM beach, half-moon beach and Paradise beach all at a distance of 1-1.5km. Carry enough water to keep you hydrated. The next stop was OM beach. The trek starts from the end of Kudle beach where the steps will lead you to the other side of the cliff. The trek was moderately easy, if you don’t want to trek you can take an auto/taxi. The next part was the descent towards the Om beach. I did find a lot of trash and garbage on the way. Om beach: Why is it named so? On reaching the OM beach we rested a while at the Namaste cafe which is too overrated and also very expensive. We didn’t have anything from the cafe and just relaxed on the beach. The waves were very wild here as compared to the Kudle beach. After going a little deep in the om beach there is a sudden drop in the land under the water. So be careful who don’t know swimming. One of the worst things i experienced here is the native people and tourist from India troubling the foreigners for a photo. Request to everyone, let the foreigners alone as they too are on a vacation and wouldn’t want to be disturbed. The time is already 11 am. Here you can get ferries to the half-moon beach, paradise beach and nirvana beach(Cost : 200 – 400 per person). We didn’t take the ferry and resumed with our trek to the Half moon beach. I also discovered a new point on the way to the half-moon beach(Om beach view point) The trek is bit tough and very dangerous at one point. So don’t look too much on the right as it is 60-70 ft deep. The beach is in the shape of half moon and is named so. You will find very fewer people on this beach. Since the beach is very small, it is actually like a private beach with less or no people. Just behind the half-moon beach are the rice paddy fields. I was seeing rice fields for the first time this close to the beach. Crossing the half-moon beach there is another unnamed beach with a lot of black pebbles and rocks. There are 2 cafes on this beach so we decided to have our lunch in one of the cafes. They served some really good bread omelette or maybe we were too hungry so the total lunch costed us Rs 150. Next stop was the paradise beach. The trek from half moon beach presumes from the back side of the cafe we had the lunch from. Upon reaching this beach I made my mind to come here and camp as I saw few people camping and also it was one of the best and peaceful beaches. There are two part two the beaches separated by a huge rock in between. There are only two local sellers here selling fruits. If you are lucky you can even find someone making an omelette for you. 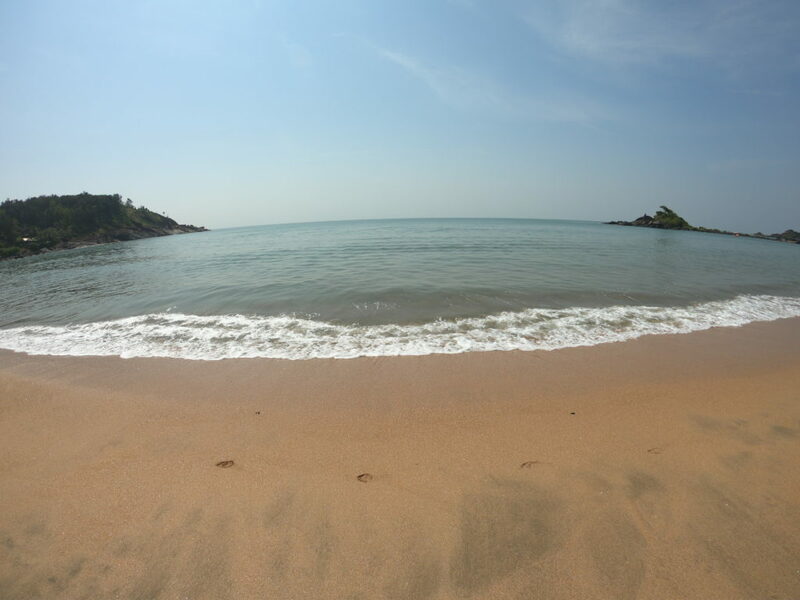 Visiting paradise beach has to be one of the top things to do in Gokarna. While returning it took us around 2hrs. We reached our shacks by 4:30 – 5 pm. After relaxing for some time and then we had our last meal at 6:30 pm at the La pizzeria cafe. I know it’s too early but since the bus goes through a lot of hairpin bends it was better to have the meal beforehand. The snacks/dinner cost us Rs 300 approx. Before catching the bus we went to the temple and had prasadam. The bus was at 8:30 pm and we reached Bangalore by 7 am in the morning. Top things to do in Gokarna: Sunset at Kudle beach, Gokarna beach trek and dipping in the waters of OM and paradise beach. Have any more questions about Gokarna or need help in planning the itinerary, feel free to drop a comment or contact me on any social media! Such an amazing blog I move seen ever. Look forward for many more explorations Aman so that we can start packing our bags for 2019. Thanks Ajay sir, yes a lot more adventures in 2019! Wow. What an adventure you’ve been on! Very interesting and in-depth post, perfect for people looking to travel there. I loved the little summary at the end. Looks a really interesting place. Nice first post and best of luck with the blogging journey you’ve started. Phill thanks a lot mate. 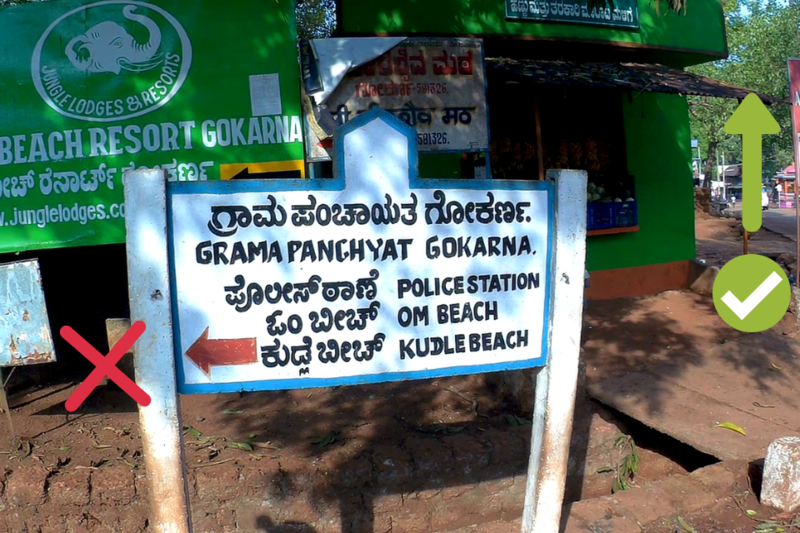 First time to hear of Gokarna. It sparked my interest. Thank you for sharing. I will add it up to my bucket list. Perfect captured of photos! That place was definitely Au naturel and would love to visit there one day! U have made a very nice guiding map for others.. Would love to take the same steps as u.. Thank you sir ji, waiting for you and arjun so that we can plan somewhere. Half Moon Beach looks beautiful! I love traveling with a nice budget. Or I should say, when I travel, it has to be on a budget. Thank you for sharing your trip with me. The pictures, I’m sure, don’t do it justice. The pictures can never do justice to any place, but i tried to make sure to give a glimpse of the place. And same applies to me being on budget always. Dear Aman, A very informative travel blog you have. Dont even feel like you are new to blogging and this is your new blog. 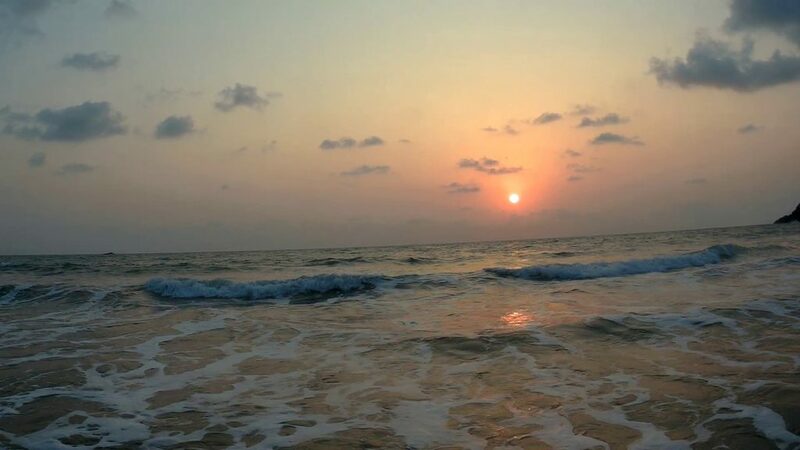 I really appreciate the things to do in Gokarna such as Sunset at Kudle beach, Gokarna beach trek and dipping in the waters of OM and paradise beach. What an amazing place to visit! 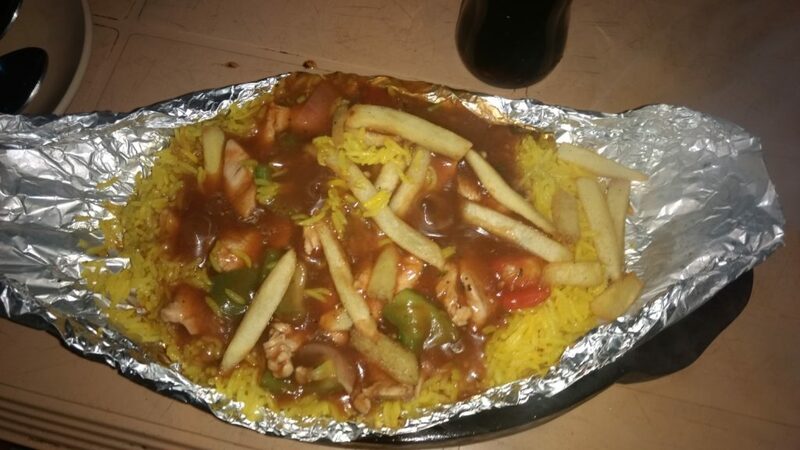 The food looks amazing. I hope to check it out soon. Amazing blog. I have stayed in hostel lavie they alive up to 7 travellers unlike Zostel, they only allow 3. Way to go. 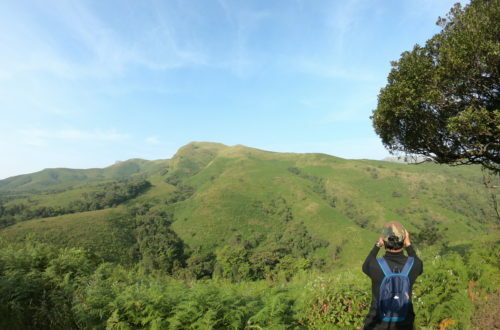 Waiting for the kudhremukh trek. I’ve never been to India, so not heard of Gorkarna before reading this. It looks lovely there, and all for a budget too! Great post. The best time to visit works well if you’re from somewhere where winter strikes…would be a great getaway! 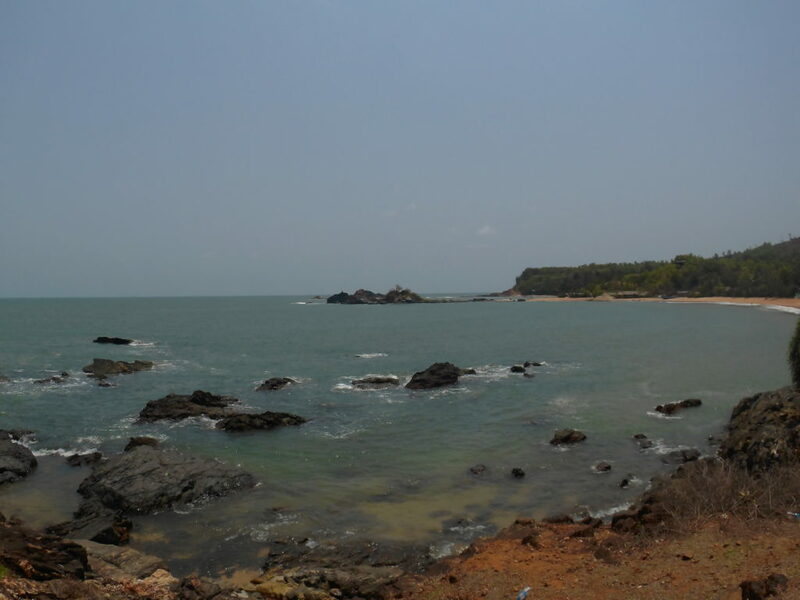 Amazingly described and very helpful for travellers who are looking into exploring gokarna. Thanks buddy. Keep exploring and throw some light on unexplored geographies..
Sure bhai, will also write about our camping experience as well. Half moon beach looks like my next destination! 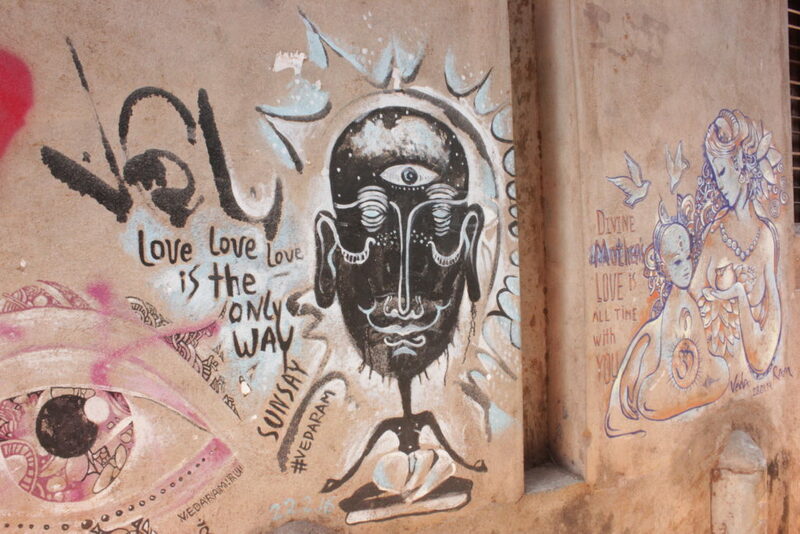 Thanks for the opportunity to get to know Gokarna from within. Just the images have me wanting to go. Wish I had time and money this year so maybe next year. These pictures were absolutely beautiful. You definitely make your readers feel a bit of wanderlust. What a stunning location. 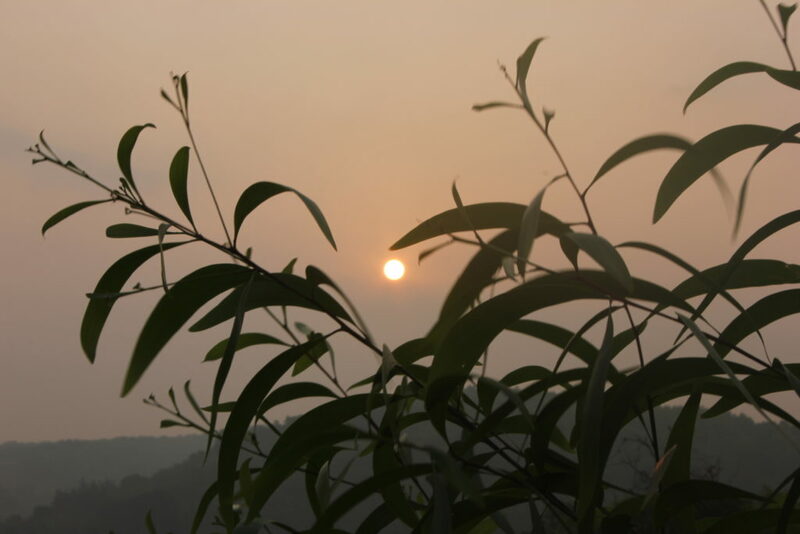 I would love to visit Gokarna someday.Such beautiful sunsets too. Great job bro. The experience and suggestions are proper and precise. Covers all the aspects. Waiting for more such blogs . Cheers :D.
This looks like a beautiful place to visit. Thanks for sharing your experience with us. Hey thanks for taking your time out and giving it a read! Oh i hope i was able to give you the precise information! This looks like such a good place to visit. Your photos are absolutely amazing as well. That is really cool alternative !!! Loved the way you described it !!! Will surely visit it once !!!! The photos are well curated and beautiful! Would love to visit this place one day. Looks like a wonderful trip with plenty to do! I am not familiar with this destination and it was interesting to read more. This is our kind of travel, as we like to explore a lot. Hey glorious heights thanks a lot. OMG, what a beautiful place and only RS3000. Who would like to miss that opportunity. Thanks for sharing! India is definitely on my list of countries to visit, but I know so little about it. So, thank you for your blog – something new I’ve learned today 🙂 Half Moon beach looks awesome 🙂 I have a question. In your conclusion you write “Don’t disturb the foreigners as they to are on their vacation and wouldn’t want to be disturbed”. Did you see some foreigners being disturbed? Am very curious to know the background of this story 🙂 Thank you! Hey darja it’s my pleasure that I was able to introduce you to a new place. The disturbance caused to the foreigners was just they were being forced to take pictures and also stared upon. Very beautiful images!! I checked out your instagram and the posts on there are just as beautiful. Great post! 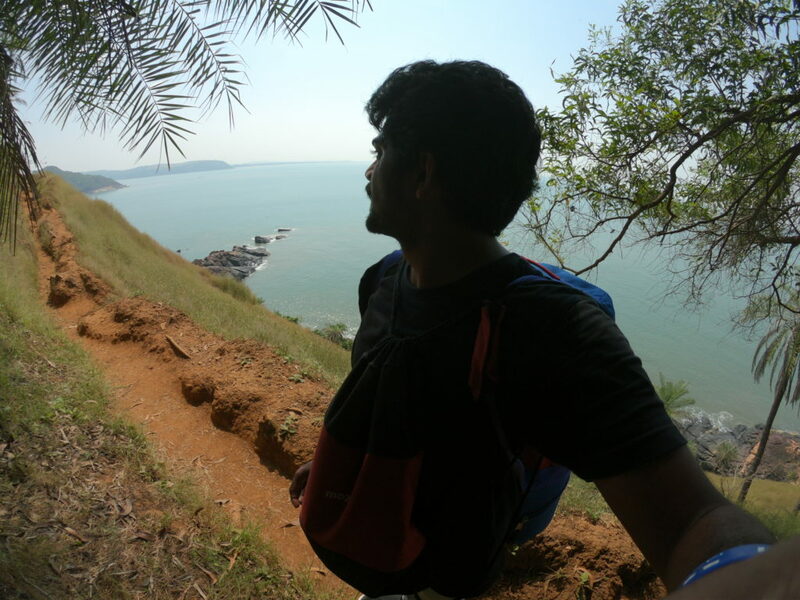 The photos you shared of Gokarna looks beautiful! Such a detailed and persuasive guide, . Halfmoon beach has won my heart. I would love to visit someday. I can’t wait to read more of your travel posts! Hey Lisa thanks a lot, keep following my blog for budget travel!